This week was one of those crazy ones that sneaked up on me. I was swamped with work and it seems like R might be fighting off yet another daycare-induced cold (just 5 days after going off of antibiotics for his first, mind you) so I'm so ready for the weekend! Bonus points because we turn back the clock, let's hope the baby lets us sleep in?! We're in last minute prep mode for Halloween over here, I've still got a pumpkin to carve and a giant skunk costume head to rig so it fits my child's head. I hope you've all got some fun plans for this weekend! I couldn't resist sharing a few favorites from the week, so here goes. Have y'all tried Leinenkugel Harvest Patch Shandy yet?! It only has a hint of pumpkin in my opinion so don't let that sway you if you normally aren't into the pumpkin flavor! Ok you know I've been stocking up on Christmas pajamas for Rowan but this week I fell into the black hole that is Christmas decor and I can't say I'm mad about it. Has anyone else pick up some new holiday decor yet? 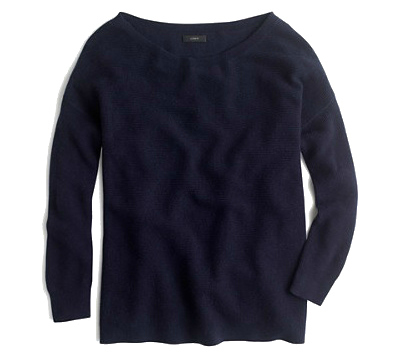 PSA this J Crew ribbed boatneck sweater is the absolute best, I have it in navy and might have to order another color. It's currently on super sale, its really soft and I love that it kind of goes off my shoulder a little. Definitely will be on repeat this winter! This is super random because I don't normally watch reality or singing shows, but my husband and I are really into the Voice this season! I'm a big fan of Amy Vachal and loved her Sunday Kind of Love performance this week! Anyone else watching or have a favorite? This little man started dancing recently and it is so.freaking.cute! He doesn't discriminate with his music selection, he'll even dance to his mamas terrible singing. 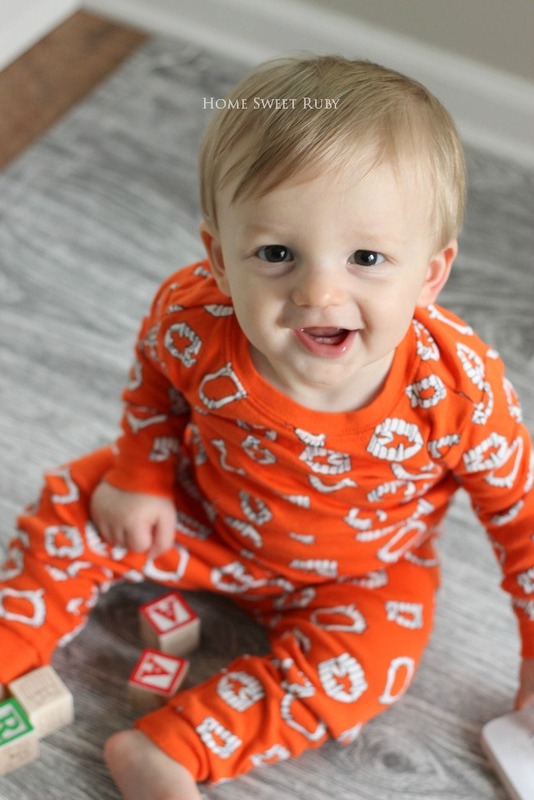 8 months is such a fun age!! I'm still working on clapping and giving mama kisses, but if you follow on snapchat you've seen his mad sippy cup skills... Ha! That's it from me today, I hope you all enjoy your Halloween weekend!! Personally I'm glad Halloween will be over so I can get this candy out of our house. Buying candy two weeks before is never a good idea! Good luck at sleeping in! Last year my son used to sleep til 8 and then daylight savings happened and we switched to 7 and it gradually got even earlier! Oh I'll have to tried that beer. I do love the Lemon Shandy. We are into The Voice too! I really like Jordan Smith and I thought Madi Davis was amazing this week. Thanks for the beer tip - I love fall beers but haven't tried that one! I am planning on buying candy tomorrow morning to stop myself from munching on it. That dancing sounds SO adorable! I've totally started buying Christmas decor, too - you're not alone!! Gotta get it before all the good stuff sells out... at least that's what I tell myself ;) Hope you all had a fabulous Halloween! Ok so I hadn't tried the Harvest Patch Shandy until I saw this post....my goodness is it good! My husband and I (mostly him haha) have gone through a few 12 packs since then. Thanks for the suggestion!